When does Love happen? When it has to happen or when one creates the perfect situations to attract the other? Love is not complete until the people involved go through various stages of separation and union, and the problems involved make it even worse, but only what survives in the end is the love. Isn't this exactly what the famous love fables have conveyed to the readers, how mythical or fantastical were these love stories in reality, we may never know, but what we can be sure of is that even in today's world you can find another Heer-Ranjha, Laila-Majnu, etc.. 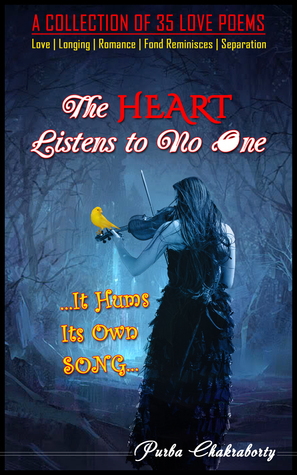 I recently read The Heart Listens To No One, a debut poetry book by Purba Chakraborty, who has previously written two novels and has made contributions, in the form of poems, to various write ups. 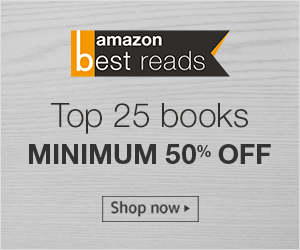 The book is a collection of 35 poems divided across various sections of emotions of love, namely, Love, Longing, Romance, Fond Reminisces and Separation. The tagline of the book, "it hums its own song", is justified by the introduction section first and then by the poems in the book. The five sections of the book have seven poems each and every single poem emotes a feeling, feelings camouflaged under the words, words chosen intelligently, intelligent writing, I must say. The book, just like love, has a good start and a great end and everything in between tells the tale of the struggle and conflict, the romance and fascination, the unrestricted and decisive love, the yearnings and the partition. Overall, The Heart Listens To No One, is a wonderful collection of poems on love. It is a very quick and a refreshing read. I recommend this to anyone who is interested in reading emotional, love poetry. The book currently is available as an e-book and can be ordered from Amazon. Looks like a great weekend read. Yes, it is. If you like reading poems on love, it will be a great read for you. Thank you Purba, looking forward to your future books.